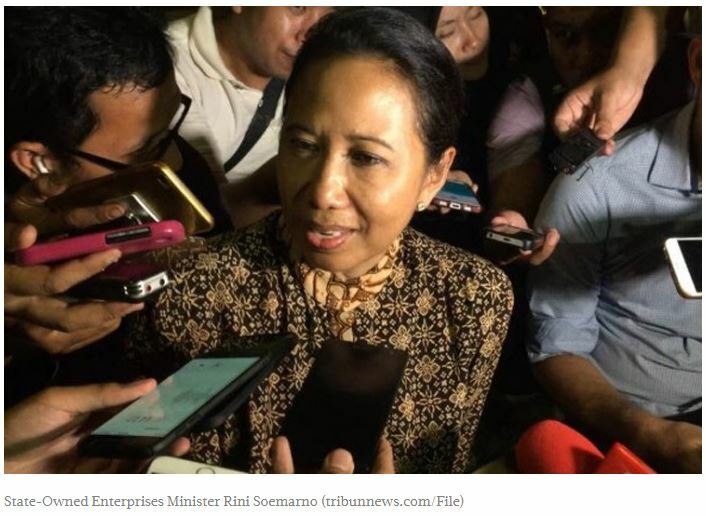 State-Owned Enterprises Minister Rini Soemarno has expressed hope that aviation turbine (avtur) fuel will be exempted from value-added tax (VAT). The� price� of� avtur� has been blamed for high airline ticket� prices. “Hopefully the VAT for� avtur� will be abolished,” said Rini in Jakarta on Wednesday. The government slapped a 10 percent VAT on� avtur� for domestic flights while international flights are exempt from such taxes, as stated in Government Regulation No. 26/2005. Rini added that the government was looking for ways to reduce the cost of� avturafter Energy and Mineral Resources Minister Ignasius Jonan issued a decree on Feb. 1 that outlined the base� price� formula for� avtur. “We are looking into our cost structure to find out if it follows the Energy and Mineral Resources Ministry’s formula and whether we can reduce [the� price� of� avtur],” said Rini. President Joko “Jokowi” Widodo had promised to discuss the increase of� avturprices with state-owned energy firm Pertamina after receiving complaints from tourism and hospitality players, who said the increasing� prices of airline tickets was responsible for lower hotel occupancy rates. Jokowi added that he would give Pertamina two options: either to lower the� price� of� avtur, or the government would allow other firms to sell it, meaning Pertamina would have to relinquish its monopoly over� avtur� sales. Finance Minister Sri Mulyani Indrawati said she was open to revising the VAT to ensure the competitiveness of fuel� prices compared to neighboring countries. “In terms of a level of playing field, we are open to matching [the VAT for� avtur] with other countries such as Singapore and Malaysia,” Sri Mulyani said as quoted by Antara.